Thorne & Derrick distribute GRP Feeder Pillars available in single and double door options manufactured from self-extinguishing, fire retardant resin to Class 2 BS 476 Part 2 for low maintenance and corrosion resistance up to 1000 volts – we provide competitive prices for feeder pillars from extensive stocks to UK and international destinations. 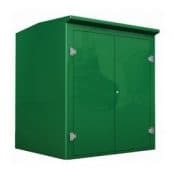 Single door GRP feeder pillars are specified to enclose and protect LV electrical, instrumentation and control panels – the pillars are available with a choice of cylinder night latch lock or hasp and staple and pre-fitted with plywood backboard for mounting internal equipment. The feeder pillars are manufactured from Single Skin GRP (Glass Reinforced Polymer) using self-extinguishing fire retardant resin to Class 2 BS476 Part 2 – the units will not melt or deform in case of overheating or fire protecting the internal equipment from external heat sources including natural heat conductivity due to the excellent thermal insulation properties of GPR. GRP pillars are low maintenance and non-corrosive for indoor and outdoor location. 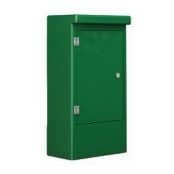 Standard colours of stock pillars available are BS 5252 14-C-39 Green and 10-A-07 Grey. Full colour range according to BS5252 or RAL is available. 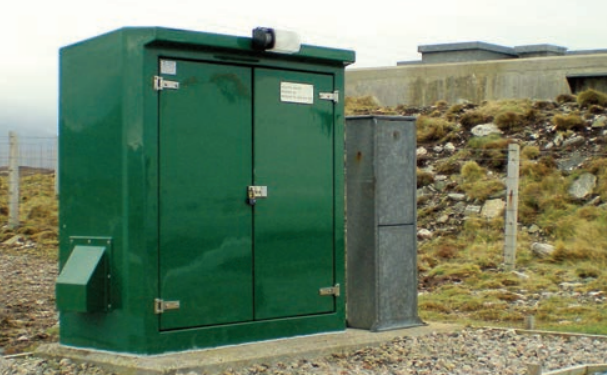 Double door GRP feeder pillars are specified by the water, gas and electric utilities supplied with tower bolts and door-stays fitted as standard (selected sizes only) – typical applications include low voltage electric power distribution, air quality monitoring and MCC protection. 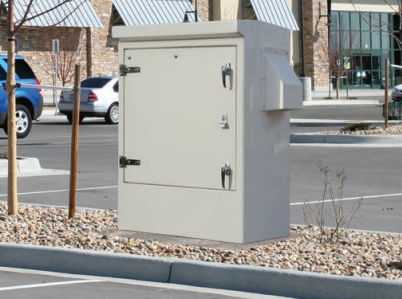 The GRP feeder pillars are available with choice of cylinder night latch lock or a hasp and staple fitting – pillars can be equipped with plywood backboard, pre-wired electrical equipment and ventilation options. Should you require customer service or technical support please contact us – view the full range of GRP Feeder Pillars below.